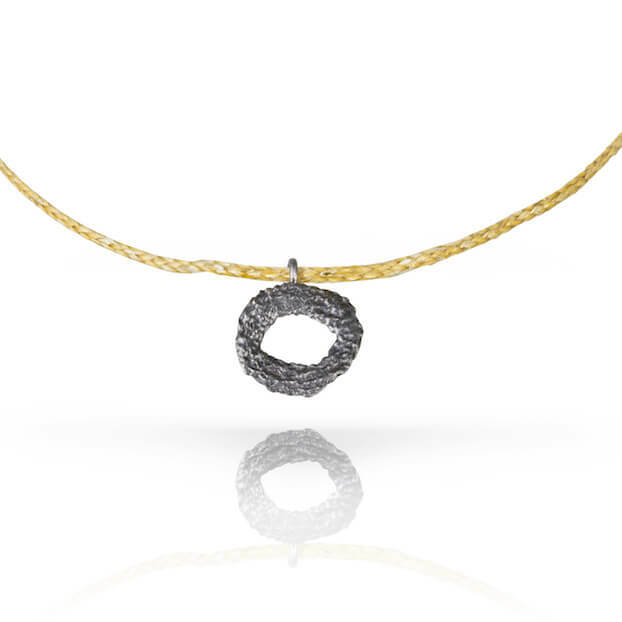 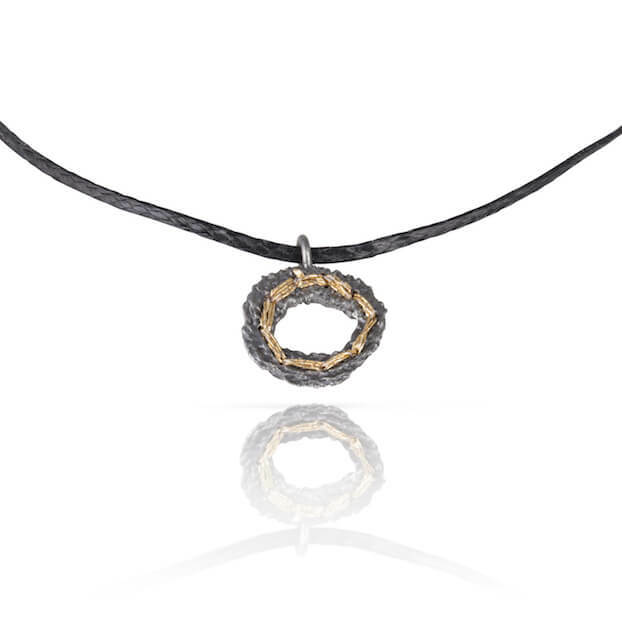 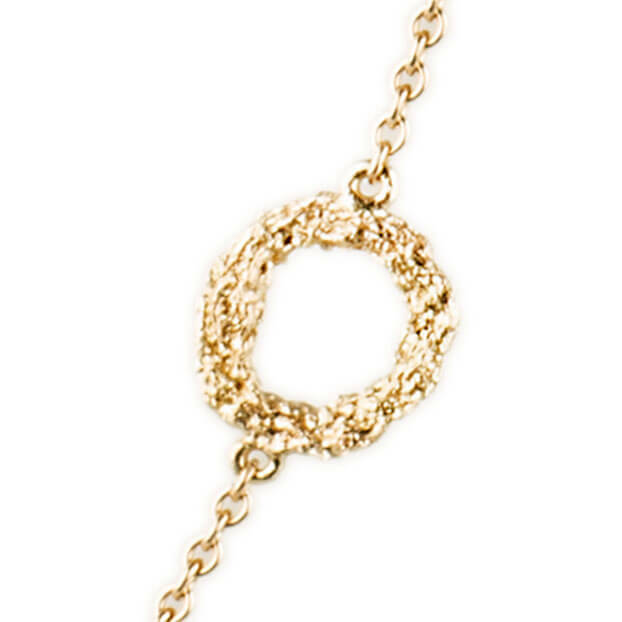 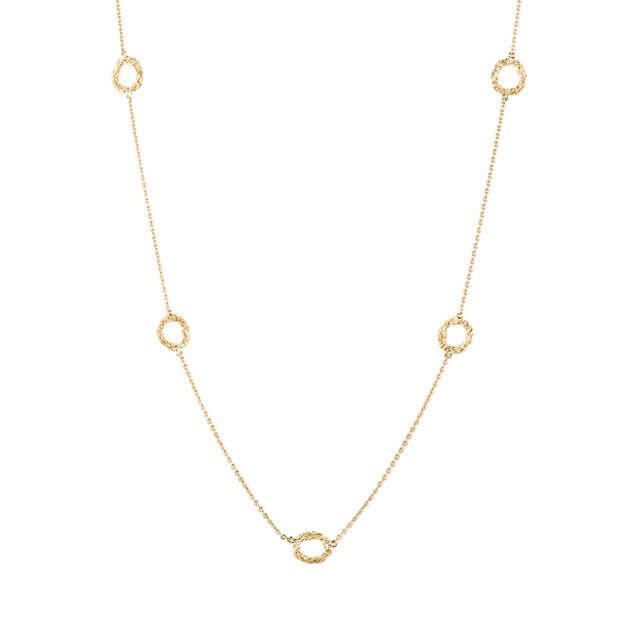 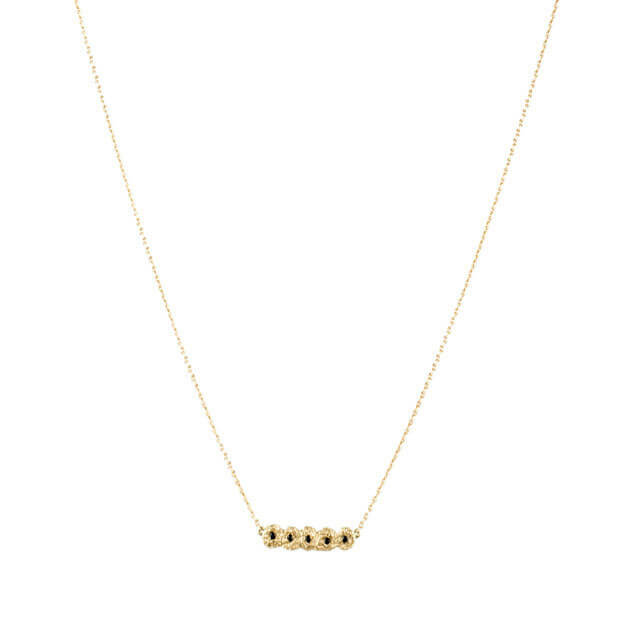 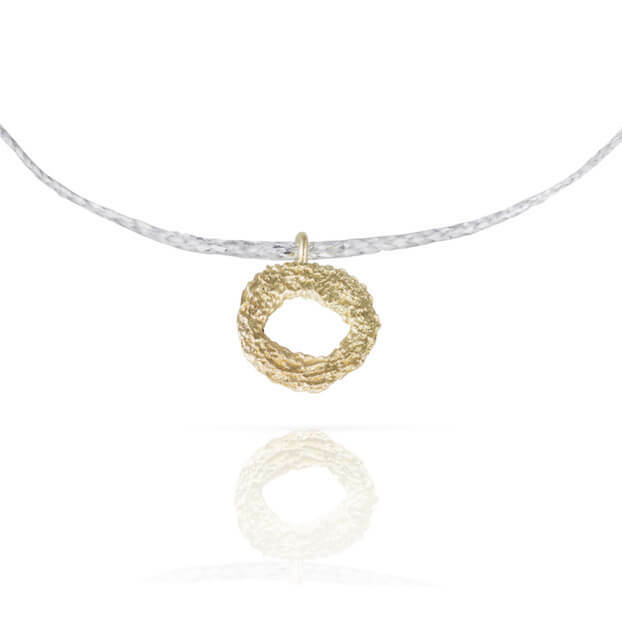 The Seven Circle necklace is an elegant design formed of seven delicate-looking circles. 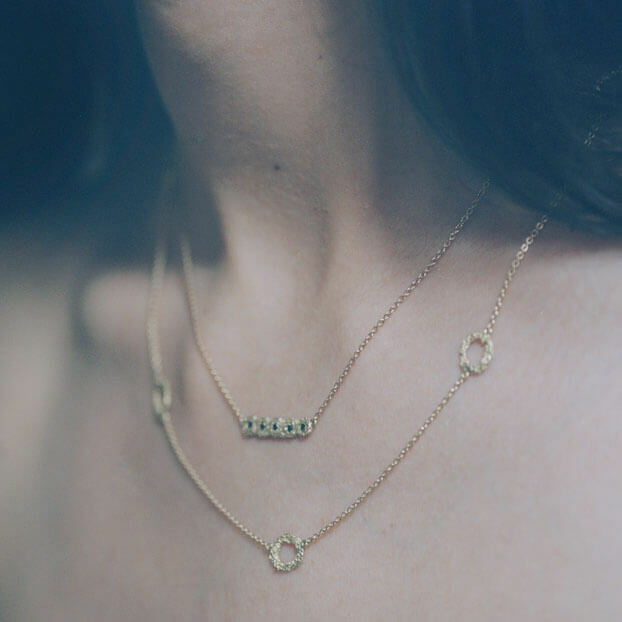 The number seven represents togetherness and the universe; combining the heavens, represented by the number 3 and the body of the Earth, the number 4. 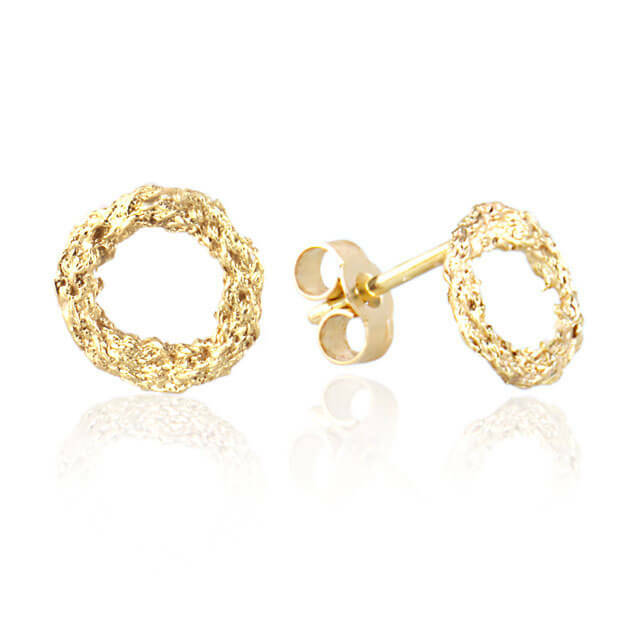 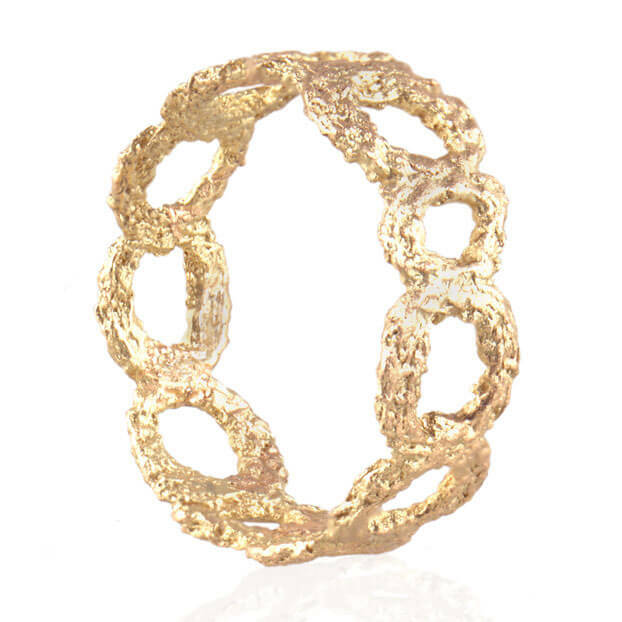 The gold work is from hand sewing with cotton thread, which is then translated into solid 18kt yellow gold, creating the intricate and textured detail.